This feature shows the totals of traffic between the client and the server in realtime. 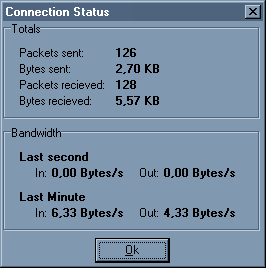 This information comes from the computer the client is running on (hence local connection information) It also shows the bandwidth that the client uses in realtime. This information might come in handy when setting a bandwidth limitation on your client.